Uniquely, then, we’re gonna watch at least(!) 3 films this month, one each of the remaining weekends! We’re kicking off with a witty and warm true story called Green Book, which – as far as I remember – has earned at least 5 Oscar nominations! 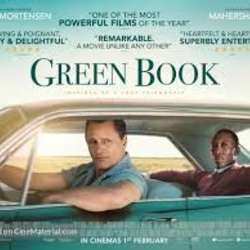 "Green Book" is a savvy and super effective piece of popular entertainment.